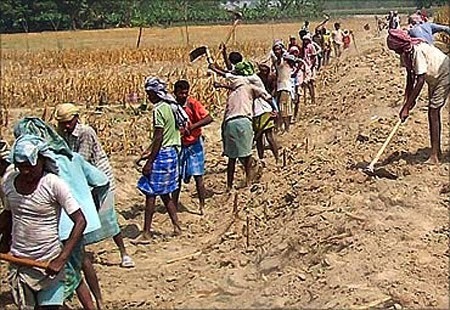 In a new analysis, titled “Corporate karza maafi at Rs 36.5 trillion”, well-known scribe P Sainath, known for his authoritative reports on rural India, has said that in 2013-14 the former UPA government had “foregone” revenues that could fund the rural jobs scheme, Mahatma Gandhi National Rural Employment Guarantee Scheme (MNREGS) for three decades, or the public distribution system (PDS) for four-and-a-half years. He suggests there is no change in this, and the movement towards giving concessions to the big and the mighty continues. “This year’s budget document says we gave away another Rs. 5.32 lakh crore to the corporate needy and the undernourished rich that year”, says Sainath sarcastically in his latest blog. “It says Rs 5.72 lakh crores but I am leaving out the Rs 40,000 crore foregone on personal income tax since that write-off benefits a wider group of people. The rest is mostly about a feeding frenzy at the corporate trough”, he adds.